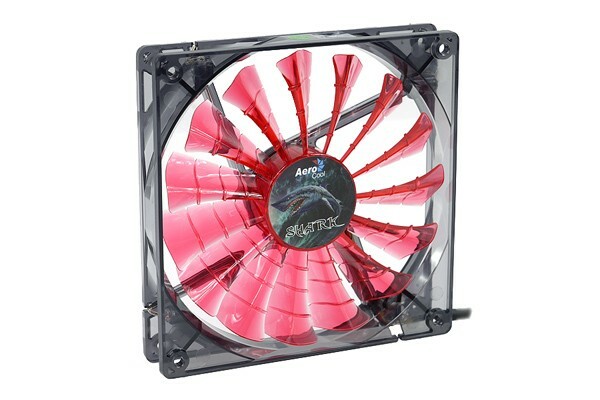 The Aerocool Shark fan series cuts through the air as silently and efficiently as a shark on the hunt! As quiet as possible, with high airflow and also great-looking: Those are the demands for a new fan on the market. Aerocool has managed to find an optimal compromise and additionally includes a large extent of delivery! This is where the new fluid dynamic bearing plays out its advantages: It makes the fan quiet and efficient which is additionally supported by the newly designed fan blades. The new fan blade shape with a more close spacing reduces noise emissions and greatly increases static pressure of the fan which is very important for the cooling performance. Besides the practical considerations of the fan the optical design is also truly exceptional. The Shark series is offered in many shades from a plain black to colourful fan blades with LEDs!